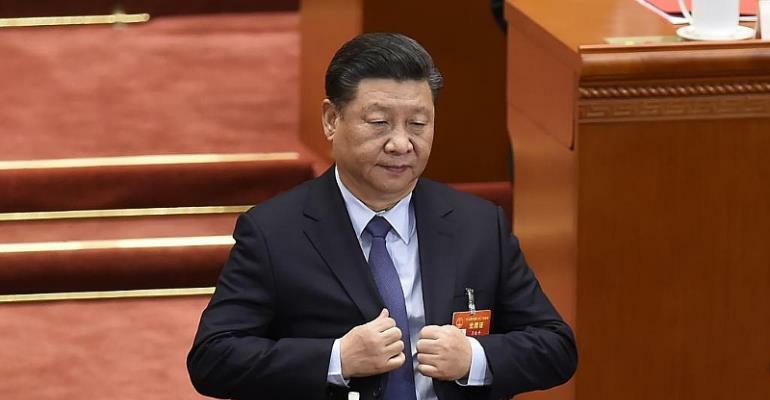 As Chinese President Xi Jinping begins a visit to Italy, Monaco, and France, the European Union is considering a more defensive commercial strategy with regard to China. Caught between a new US-Chinese rivalry for economic and military dominance, EU leaders will try to find an elusive middle-path during dinner at their Brussels summit on Thursday evening. It will be the first time the European leaders have discussed the issue of commercial relations with Beijing. Despite the desire in Brussels to forge a common stance, Italy - where eurosceptics share power in a populist coalition - is expected to sign major bilateral trade deals during Xi's visit. European Trade Commissioner Cecilia Malmstrom told a conference on transatlantic relations earlier on Thursday that the international economic order has changed. "China has risen to become an economic and geopolitical competitor, and a systemic competitor," she said before EU leaders met for talks on both Brexit and European relations with China, the world's second-largest economy. With China's Xi starting a tour of France and Italy, EU leaders - who have often been divided over China - want to present a united front ahead of an EU-China summit scheduled to take place on 9 April. According to a draft April summit statement, the EU is seeking to set deadlines for China to make good on trade and investment pledges that have been repeatedly pushed back. "In the past, it has been extremely difficult for the EU to formulate a clear strategy on China, and past policy documents have not been strategically coherent," according to Duncan Freeman at the EU-China Research Centre at the College of Europe. "There is now a clear effort to do that." Malmstrom said Europe very often agreed with the United States on what global problems were, but not always on the cure - including US tariffs on EU imports and Washington's trade war with Beijing. The deepest tensions centre on China's slowness to open up its economy, a surge of Chinese takeovers in critical sectors in the EU and an impression that Beijing has not stood up for free trade. With over a billion euros every day in bilateral trade, the EU is China's top trading partner, while China is second only to the United States as a market for European goods and services. Any new EU policies will be complicated to implement, as individual EU capitals continue to court Chinese investment. Germany's views will be important as Berlin has at times pressed for a tougher answer to unfair competition from Chinese rivals but has also championed a closer relationship with Beijing. "Their position needs to stabilise. At the moment it changes almost every day of the week," according to State Councillor Wang Yi.